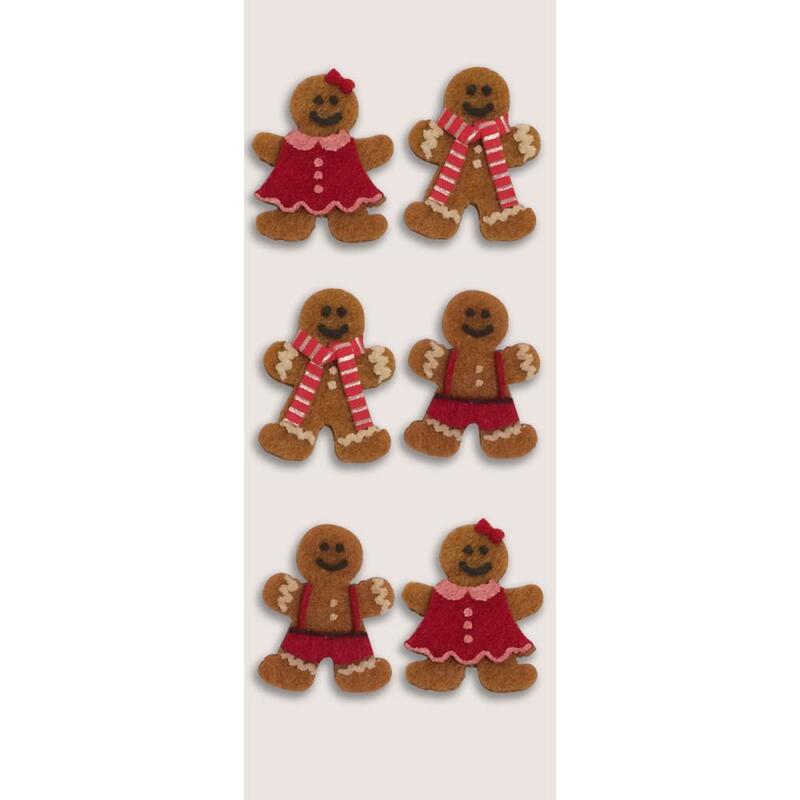 Little B Christmas Gingerbread Men Mini Stickers. A pack of 6 adorable gingerbread men and women. Each cute little figure is dressed either in a red dress, red shorts or a red and white striped scarf. The self adhesive Christmas embellishments will add a touch of festive fun to your Christmas card making and other projects.